I am sure that any marketer would agree - maximizing and measuring conversions is the cornerstone of performance-based marketing. This is why the ability to maximize conversions at the lowest possible cost is an essential factor in evaluating digital media buying efficiency. Since the daily routine of today‘s digital marketing managers usually consists of investing in several marketing platforms at the same time - business intelligence platforms are here to help. They enable marketers to keep an overview of their conversion data. How does each platform measure conversions and how can you blend them to get valid overall conversion-data? In this guide, I will walk you through everything you need to know about how conversion pixels by major marketing platforms work. I will also cover attribution models and how you can get clean conversion data in Adverity. Usually, each channel measures conversions by the means of a conversion pixel, which gets integrated into a website’s source code. Usually a cookie gets set when a user engages with an ad and if he takes one of any predefined actions within a specific time frame the pixel reads the cookie and communicates to the marketing platform that one of its campaigns generated a click (or an impression) that resulted in a conversion. But: Have you ever noticed, that all conversions by all marketing platforms combined are often exponentially higher than those actually generated? Marketing platforms don’t communicate with each other, so nearly all marketing platforms don’t take any previous user touchpoint of any other channel into account, what leads to duplicate conversions. Conversion pixels are not working equally, especially in terms of permissible time that lies between the touchpoint with an ad and the actual conversion - a so-called “lookback-window”. The type of interaction with an ad is also crucial to the total number of conversions. Some channels include view-through-conversions into their overall conversion numbers and some do not, for instance. To understand how this works in detail, we need to take a deeper look at how conversion pixels of major platforms are measuring conversions, regarding its general specifications, its lookback-window, its ability to track users across browsers and in terms of its eventual “intra-channel-attribution”. Ultimately, I will explain how to access conversion data by each channel in Adverity Datatap. Google Ads’ pixel works cookie-based. When people interact with an ad, Google Ads stores cookies that contain information about the interaction. When someone converts on your website, the conversion tracking tag you installed reads this cookie and sends it back to Google Ads with the conversion information. Generally, cookie-based conversion tracking techniques almost never work cross-browser or cross-device. 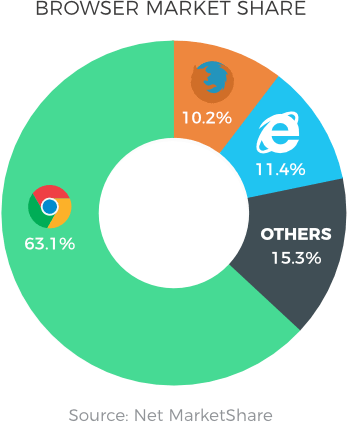 But: Luckily, Google has its own browser, that accounts for about 62% of web traffic, where users can log themselves in. So, if a user stays logged-in on their desktop and on their mobile-device in Google Chrome, this will be one of many factors, to recognize desktop users on their mobile devices again. As soon as you have integrated your Google Ads Conversion-Pixel into your website, you will have the possibility to set a so-called “conversion window”. By default, this is set to 30 days. This means that the maximum time between a touchpoint with one of your ads and a conversion is at most 30 days. No matter if there is an interaction with an ad by any other channel within these 30 days as well. Attention: If you haven’t integrated a Google Ads conversion pixel and you’re importing conversions from Google Analytics you should be aware that all conversions get “re-attributed”. Google Analytics works with a completely different attribution model than Google Ads, which I will explain later. The imported conversions from Google Analytics will be adapted to Google Ads’ attribution model. This could be the reason why the number of search conversions might differ between your Google Analytics and your Google Ads-Account. Since Google Ads isn’t just a platform to exclusively run search campaigns, we also need to talk about something called “intra-channel-attribution”. Intra-channel-attribution refers to a process of how conversions get attributed within the same channel. This model defines how conversions will be assigned if multiple entities of the same channel (e.g. keywords, ads, campaigns,..) has been part of a converting customer journey. Since marketing managers also have the possibility to run App-, Display- and Youtube-Campaigns within Google Ads, this is particularly relevant. The question is: Are conversions assigned accordingly to multiple channels of the same customer journey within Google Ads? Although marketers have the possibility to choose a data-driven attribution model, it gets only applied to search campaigns. Unfortunately, Google is not offering a possibility (yet) to use this option for several channels within Google Ads. Nevertheless, conversions get at least de-duplicated by a last click model, when several Google Ads channels have been part of the customer journey. We just learned that there are some factors that will affect your measurement. Whatever is adjusted in your account will be transferred by the API and will be displayed in Adverity Datatap. Conversions (current model) - Since any change to your attribution model-preference is just applied to any data, that has been generated after the date of adjustment, there is the possibility to get multiple models within the same column. To avoid this, you can select this column, where the newly adjusted conversion model will be applied to historical data as well. View-Through-Conversions won’t ever be included in one of these mentioned columns. Though, you have the possibility to access them by an additional optional column. One of Facebook’s biggest advantages from an advertiser’s perspective: all of its data collection and matching techniques relies on a logged-in user-logic and is not cookie-based. This enables Facebook to track users instead of cookies and to track users across devices and across browsers. Furthermore, view-through conversions are playing a crucial role in Facebook advertising. Since social advertising is not as click-driven as search engine marketing and its advertising impact is normally further above in the conversion funnel, impressions, that are part of a converting customer journey, are receiving credit as well. For each of these variables, you can choose between 1, 7 or 28 days. Attention: Long view-through-lookback windows might cause your conversion-data to be meaningless. They might make sense for products with long sales cycles, but I would not recommend to use them for other use cases, especially when targeting broad audiences or audiences, that contain your loyal customers. Besides its news feed, Facebook offers marketing managers with the possibility to run ads on various additional platforms as well. In order to get the right insights in evaluating campaign performance, it is particularly relevant how conversions will be assigned to several user touchpoints within different Facebook-products. Therefore, a new tool has been launched in October 2018, called ‘Facebook Attribution’. Advertisers should have already noticed, that there is a new tab available in their Ads Manager, where they will have access to this feature. Clearly, Facebook is leveraging one of its biggest assets here and uses the enormous amount of logged-in user data to track user journeys, which took place on several devices. Especially in terms of Facebook’s intra-channel-attribution, this will be a major step towards a fully holistic attribution model, since Facebook itself is the only reliable source to deliver high-quality view-data within its own platform. It is particularly noteworthy, that, for the first time, Facebook seems to include unpaid media data into the tracking of customer journeys as well. By now, conversion-columns in Ads Manager, however, are still displaying non-attributed conversion data. Attribution models and customer journeys can only be viewed in the “Attribution”-Tab. So, like Google, Facebook is not offering an intra-channel attribution model by default yet, that assigns one conversion to several touchpoints with ads of a converting customer journey. Attributed data can not be accessed by the standard API or either be used as optimization-basis for bidding algorithms. View-through-conversions will be fully assigned to the ad, that generated the last view. If there has been a click as well, the conversion will be fully assigned to the touchpoint, that generated the last click. So by now, conversions get de-duplicated, but not attributed. My advice is to map them all individually (as shown above) and to calculate them in your visualization tool as needed. For us, as an agency, this helps us to stay flexible and allows us to use different lookback-windows for different clients. Google Display & Video 360 is one of Google‘s products within its Marketing Platform, that has been relaunched lately. All of the Google Marketing Platform (GMP) products are tracking conversions with the help of so-called ‘Floodlight tags’. Floodlight is Google’s powerful tool to track conversions and, if configured accordingly, it provides digital marketers with one of the most holistic and sophisticated conversion tracking approaches on the market. Google Campaign Manager (another GMP product) is the central hub for all of your campaigns and is the place to set up Floodlight tracking. Clearly, all of Google‘s advertising products can be integrated seamlessly. Additionally, marketing managers are provided with the possibility to create click- and view tracking tags, which can be used to integrate campaign-data of non-Google advertising platforms as well. Floodlight tracking is essentially cookie-based but uses very advanced techniques to track cross-environment conversions. Google states “it is using different algorithms and data than it is using for conversion tracking within Google Ads”. Nevertheless, a cookie-based attribution model will not be able to provide a fully holistic measurement of conversions. As soon as you have configured your Floodlight tag you have the possibility to set a view-through and a click-through lookback window. Every combination between 1 and 90 days is possible. Display campaigns are even less click-driven than social ads. It is common that average click-rates of display campaigns amount to less than a percent. Since the impact of display advertising normally is at the top of a conversion-funnel, view-through conversions are a common metric to evaluate campaign performance. Bjoern Sjut: Digital Analytics-Report for omr.com. If you use Floodlight tags to exclusively track conversions within a single channel, such as DV360, conversions won’t be assigned to several touchpoints, such as different creatives, line items or insertion orders. Like Facebook, Floodlight tracking will assign the conversion entirely to the last click-engagement, if available. If it is a view-through conversion, it will be fully assigned to the last view-ad-engagement. Accessing conversion-data from Google Marketing Platform might be the trickiest of all channels, that have been outlined in this guide. Access data through a DoubleClick Campaign Manager stream. Access data through a Floodlight stream. Access data through a DoubleClick Bid Manager stream. I recommend using Floodlight streams. This option offers the most detailed form of aggregation opportunities. As in Google Ads, the API transfers the lookback window, which is adjusted in your preferences in Google Marketing Platform. If properly configured, Google Analytics is a very powerful tool. Especially its customization possibilities, it provides countless opportunities. Nevertheless, in its basic function Google Analytics still is an OnSite Tracking Tool, which is not focused on providing state-of-the-art attribution models to keep track of activities that happen off site. Most advertisers, however, are using it to centralize their campaign data. So I am going to outline Google Analytics’ functionality in terms of conversion attribution as well. Clearly, Google Products can be integrated seamlessly - even impressions and spendings will be imported if you connect Google Ads or DV360 with Google Analytics. All other campaigns are categorized by means of UTM-parameters, which are added to campaign-URLs. This enables Google Analytics to categorize visits (sessions), which have been generated by ads. Nevertheless, this setup does not allow to model customer journeys in terms of ad impressions. Clearly, the biggest advantage of Google Analytics’ conversion tracking is that it is tracking users across channels and therefore de-duplicates conversions. Firstly, it is cookie based, so different browsers are seen as different users and secondly, it is using a last-(non-direct)-click model by default, which is not ideal to base investment decisions on it. GA’s last non direct click model assigns the entire conversion to the channel, that has been the last touchpoint before any direct URL type-in. GA doesn’t see a direct type-in as an acquisition channel, which is essentially a reasonable approach. Though, this model will also not assign credit to any previous touchpoints of the buying journey. How is Google Analytics’ conversion data displayed in Adverity Datatap? Though, users have the possibility, to compare different attribution models in GA’s Interface, attributed conversion-data cannot be accessed by the API. So all goal completions and revenue-data, displayed in Adverity Datatap is based on GA’s last-non-direct-click model. Use similar lookback windows for each channel. Any fully holistic attribution model, which is able to track users across devices and browsers is the holy grail of digital marketing, but unfortunately still an urban legend. Complete transparency from the first advertisement to the purchase decision is nearly impossible to map. Instead, it's more about turning on more and more spotlights in a foggy field of decisions. You may ask “Why? What is the difficulty?”. Marketing platforms, which are operating in their own, closed ecosystem, such as Facebook, Google, LinkedIn, Amazon or YouTube, need to explicitly provide features to infuse view-tracking-tags by third-party-systems, in order to track views from users, who are seeing ads on one of these platforms. So, essentially any (almost) holistic conversion-tracking model will be most likely built by any big marketing platform, like Google or Facebook, itself. With Floodlight Tracking and Google Attribution (which is still in Beta-Phase), Google is offering tracking techniques to integrate Google channels seamlessly. So, for these channels, the model will include every type of engagement (clicks and impressions) into the analysis of customer journeys. Additionally, view- and click-tags can be integrated into all HTML-based ad creatives from other channels as well. With the help of so-called PMD’s (Preferred Marketing Partners), Facebook even provides the opportunity to fire Floodlight Tags under specific circumstances when users are seeing social ads on Facebook for instance. One of Floodlight’s biggest downsides, however, is that it’s substantially cookie-based. Even though Google is already working on gathering as much logged-in user data as possible with the help of its broad product range (e.g. Google Chrome, Google Maps, Android or Google Translator), it is still a long way to go to draw on a logged-in user basis, which is as huge as Facebooks. With pixels, integrated across a big share of websites and logged-in users across several devices, Facebook is able to draw on a massive data-infrastructure as well. With the launch of “Facebook Attribution”, Facebook has made a big step towards providing holistic customer journey data. 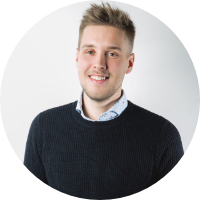 Christoph is a digital advertising consultant and reporting specialist at dreifive, a performance marketing agency and part of Goldbach Group. He leads a team that manages all paid search campaigns for one of Europe’s largest fashion brands. Furthermore, Christoph has also played a crucial role in implementing the Adverity platform at Goldbach. He likes to listen to podcasts and is passionate about all kinds of digital topics. On the weekend, you can catch him DJing under his alias "Klaue & Tatze".